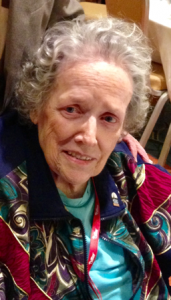 Patricia Scanlan Anderson, one of the last living direct links to the banned Buck Weaver of the 1919 Black Sox scandal, has died at age 92 in Kimberling, Mo. Anderson died peacefully Sunday evening April 14th surrounded by her family members, who will continue the fight to clear the name of Weaver, her uncle. The third baseman was one of eight White Sox players banned from organized baseball in 1921 by then-Commissioner Kenesaw Mountain Landis for their alleged roles in the fixing of the 1919 World Series. Born December 15, 1926 in Chicago, Anderson was an unlikely front person for a campaign to reinstate Weaver, whose career was destroyed for his connection to the Black Sox. Weaver had been accused of having knowledge of the pending fix, but not reporting the scandal to White Sox or American League officials. 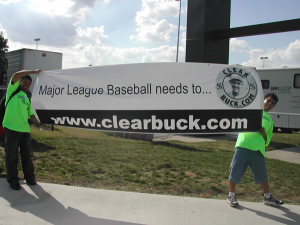 With the help of this author, Anderson and her cousin Marge launched http://www.clearbuck.com at the same time of the All-Star Game protest. Demographically speaking, these two woman may have been America’s least likely firebrand Web protesters/proprietors. Former MLB Commissioner Bud Selig refused to meet the spirited duo, who sat with me just a few rows away from Selig. After Marge died in October 2003, Anderson spent the rest of her life crusading for her uncle, who maintained his home in Chicago after his expulsion from baseball. Weaver raised Anderson as a surrogate daughter when her father William Scanlan died in 1931. After Weaver’s efforts to get back into baseball failed, he tried to make it in the drugstore business. With his pharmacist brother-in-law William Scanlan, they operated six drugstores on Chicago’s South Side. Noticing the ex-player’s business sense, Charles Walgreen, whose own drugstore empire was about to skyrocket, asked Weaver and Scanlan to join him as junior partners. But they declined the invitation. After rejecting Walgreen’s offer, the Great Depression hit, and the six drug stores closed. Buck and Helen Weaver were childless, and they raised Anderson and her older sister Bette Scanlan, as their own, until they finished high school and started careers at the Chicago Sun-Times. Anderson admired her uncle, who walked with him to school and work. She noticed the praise and adoration showered on Weaver by passers-by. But not until later in life did, she fully grasp what her uncle had done in his baseball career. Anderson said Weaver never talked about his playing days. Uncle Buck’s signature grin was one of her predominant memories. Weaver died in January 1956 on the streets of Chicago. 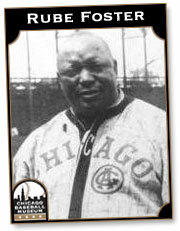 In October 2004, the Chicago History Museum hosted a Black Sox symposium titled, “The Black Sox: 85 Years Later.” Panelists included Anderson, this author, Charles Comiskey’s great-granddaughter Patti Bellock; Tom Cannon, grandson of “Shoeless” Joe Jackson’s 1921 trial attorney, and moderator Dan McGrath, then the sports editor of the Chicago Tribune. Even former President Obama took up Buck’s cause after the White Sox won the World Series in 2005, urging former Commissioner Selig to reinstate Weaver. On Dec. 6, 2005, Selig responded, “I certainly understand the great interest you have in the reinstatement of George Buck Weaver. As you know, none of my predecessors have seen fit to do so, but I have undertaken a very thorough investigation of this matter. These are very complex issues and very difficult to do proper research, although I am using our baseball historian, Jerome Holtzman of Evanston, Illinois, who is really the outstanding baseball historian of our generation. “I can assure you that we will be very thorough in our review, and if there is anything you would like to discuss further about this matter, I would be delighted to do so. Although we have not met, I look forward to our paths crossing in the future.” wrote Selig to the future President. “If anybody should be absolved, then it should be Buck Weaver more so than Joe Jackson or any of the others,” said Holtzman in January, 2008, six months before he passed away. “Jackson was guilty as hell, but Weaver was an innocent bystander. He just got caught up in it, that’s all. Weaver should have spoken up. Of course, it would have been pretty difficult for him to speak up and betray his teammates. On July 5, 2015, John Owens of the Chicago Tribune did a major feature story on Pat’s “Late Swing to Reinstate Buck Weaver.” https://www.chicagotribune.com/sports/baseball/whitesox/ct-spt-0705-buck-weaver-black-sox-reinstatement-20150703-story.html Owens traveled to Missouri and produced a short film on https://www.youtube.com/watch?v=XAnQil64RRI&feature=youtu.be on Pat’s crusade for her Uncle Buck. Soon after, the story appeared MLB Commissioner Manfred wrote a letter on July 20, 2015 declining “to give additional consideration” https://chicagobaseballmuseum.org/wp-content/uploads/Commissioner-Manfred-response-Buck-Weaver-July-2015-1.pdf to this matter praising Judge Landis’ decision that saved baseball from further gambling scandals. Though disappointed by this setback, Anderson kept pushing on and recently did some interviews with writers working on stories for the 100th anniversary of the Black Sox scandal to get her perspective on this seminal event in US culture. We admired Anderson’s ageless spirit and enthusiasm and appreciated the stories she shared of life with her Uncle Buck. For more than 15 years Anderson took Weaver’s case to reporters, authors historians, a future President (Obama), and two MLB Commissioners, who refused to meet with her. Anderson vehemently argued that Weaver did not participate in the plot to throw the 1919 World Series. Anderson was quick to point out Weaver’s .324 batting average and that as third baseman, he did not commit any fielding errors in the 1919 World Series. “He played eight games of flawless baseball,” Anderson said. 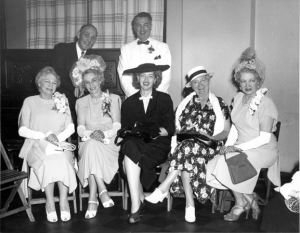 On June 12, 1948, she married Gordon Anderson, who preceded her in death. They had four children: Sharon, 70; Debra, 65, Sandy, 62, and Bruce, 58. Anderson leaves behind an inspiring story about her efforts, but also the sad fact that restoring Weaver’s reputation did not happen in her lifetime. Her four children and her granddaughter Kristi will carry on the fight.